A Central Queensland independent operator, Farm Street Early Learning Service, has worked out a way to bring theorists to life in their everyday practice and reflection. 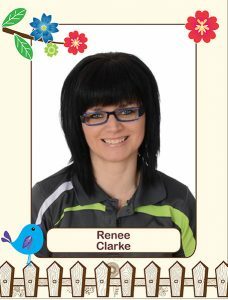 In fact, the educators have even got favourite theorists – Vygotsky, Bruner and Maslow – says Renee Clarke, Centre Director. The service is busier than most – they operate 52 weeks a year and only close for public holidays. They are a 151-place centre that educates and cares for children aged from birth to preschool. And they’re open from 6:30am to 6pm from Monday to Fridays. The range of theorists can be overwhelming. For early learning, according to the Early Years Learning Framework, they span from behaviourist, developmental, socio-cultural, critical and post-structuralists. Each of these fields help challenge traditional ways of viewing children, teaching and learning. The prompt to bring key early education and care theorists onto the radar of the Farm Street service was their most recent assessment and rating, which ACECQA conducted. They wanted to add a different philosopher/theorist each month, reflect on what they brought to the profession and link it to their own curriculum. Farm Street has managed that because the software platform they use (Educa) allows them to add in their own curriculum. “We’ve listed our philosophy in dot points in the curriculum, so our educators have to look at that every day. They tick the box for the theory that’s relevant to the learning story or reflection they’re making. “The educators do it so regularly that it’s become so embedded, that every so often, I’ll test them as they walk past at lunch,” she says. Clarke can also check their work online saying “I can go to the page where theorists are and can see the majority of our educators are linking to Vygotsky and Maslow. But they weren’t doing too badly then anyway as their last National Quality Standard – September 2016 – rating shows. Overall they rated “exceeding” the standards. Services would know they need to tip their hat to theorists as part of their responsibility to follow the Early Years Learning Framework. The fascinating fact, is that each theorist can have “a ‘perspective’ or position that may be quite different [from other theorists] on the same issue or topic”, writes Ann Kennedy in a factsheet on theorists for Early Childhood Australia. And something meaty to leave with you … researcher Susan Grieg, from Flinders University in South Australia, has written in the Australasian Journal of Early Childhood Education about the role of Critical Discourse Analysis (CDA) in helping educators to step their practice up another level. She calls CDA a multi-dimensional framework to “support the assessment of young children’s learning”. And that in a nutshell, is what early learning theorists prompt you to do – reflect on your work an educator in a fresh and inspired way. ECA: What have theories got to do with it?